However, although one may have been good at building software products for customers, there might be still a lack of the specific project management skills that can turn their сoncept into a revenue-generating business project. It took some time for Railsware to move from the software development outsourcing model to consultancy with a product portfolio, transforming not only the project management approach but the way our team perceives ‘products’. This article represents the summary of the core points that we think are important for building a successful tech product while using one of the Railsware products – Mailtrap – as an example. The natural product development process starts with a problem. As awkward as it sounds, the more obvious the problem is, the better since it literally helps to shape the basis of a future merchandise. However, in order to become the next killer product, the initial concept undergoes several iterations and converts into a ready solution that provides value. At the end of the day, it is the product’s worth, not the set of tech features or abstract ideas, what your clients will be ready to pay for. 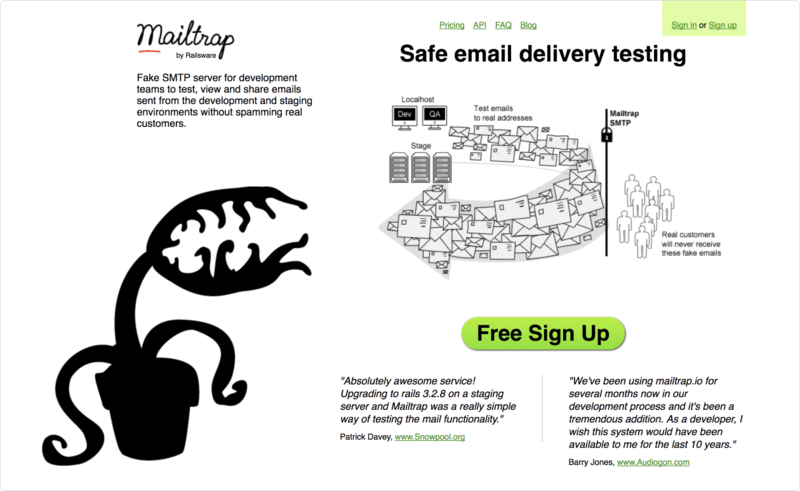 For example, Mailtrap (a dummy SMTP server used for testing of email sending functionality) was created many years ago after the Railsware developers sent out test emails which accidentally landed in real customer inboxes. So, the value which Mailtrap leverages lies in its ability to provide peace of mind to those who are involved in email sending functionality testing and they are ready to pay for it. 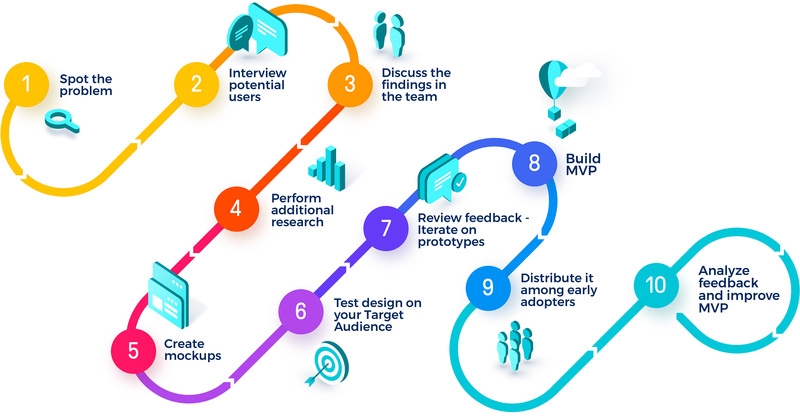 Below is the list of steps which Railsware performs when validating a new tech product idea. In order to preevaluate the market demand online, our team used the standard Google Keyword Planner / Google Trends tools. At the same time, the Railswarians collected feedback from both internal users who deployed it in their projects, and the outer world. Later, a simple landing page was created and shared across the Ruby on Rails developer community for anyone to try. Determining the target audience was an easy task since Railsware built Mailtrap for its own use. Therefore, the audience encompassed the representatives of dev teams: software engineers and QAs, who were later accompanied by Product and Project Managers, Tech Leads and small business entrepreneurs. We knew that our clients were freelancers or individual professionals who worked in small teams on either their own or customer projects. But, nevertheless, they all belonged to the general Information Technology industry. We chose the US as our geographical market, which allowed us to narrow down our focus and get the preliminary number of Software and IT firms with under 100 employees. As a result, we found the statistics for 2015 saying that the US IT industry was comprised of 366,375.00 establishments (with fewer than 100 employees). At this stage, one had to choose between an optimistic and pessimistic scenario. The Railsware team went for a pessimistic one to make sure that even if the tool would not achieve high penetration rate, it would still cover the operating costs. Assuming that 1 out of 100 companies out there would be willing to try a paid version of Mailtrap, gave us an approximate 1% penetration rate, which resulted in 3,664.00 potential users. Knowing the appr. market size, we could calculate the planned revenues and so, account for all expenses that our project would involve. Of course, after the project is launched the calculation of the market share changes and equals the number of users in the market divided by the number of establishments, which provides the marketing team with a very good understanding of whether there are still options for us to grow within the selected area. There were some individuals and companies in the market that offered a product similar to Mailtrap, such as Mailhog, Mailcatcher and Mailosaur, etc. However, only some of them managed to grow it into a commercial project. This information will help you determine whether your idea has a future. At the very beginning Mailtrap started to provide support to all customers, and so – all of them (both free and paid) had a chance to give feedback and request for some features to be added to the product. Later, Mailtrap introduced the uservoice option that allowed for online submission of product-related ideas. By the way, the system still accepts inputs that are being reviewed and replied to on a regular basis. 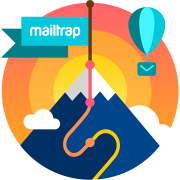 Mailtrap is a pretty straightforward tech product which does what it has to do, and not more. There is just 1 core functionality and it works great. Of course, our team was tempted to add more features to Mailtrap, but turning this simple tool into a monster was a bad idea. Instead, we focused on reducing Time to Market and meeting the core requirements the Target Audience had from the product. If we went by trying to satisfy several different customer groups while still not generating any income, it would probably result in Mailtrap losing the initial place on the market that it had already secured, or just running out of cash. Building technology like a “spaceship” takes a lot of time and resources, but once it is finished (without proper validation and market research), it can turn out that nobody needs this kind of an advanced system at all or is ready to pay for it. The time you spend for recovery will be used by your competitors who will enter the market with a similar, but a simpler system that just works. Spot the problem and interview potential users to validate the idea. Discuss the findings within the team, perform additional research. Create mockups to make sure that the initial concept looks as ‘attractive’ on the mockup as in your head. Review the design and test it on representatives of your Target Audience. Review user feedback and change / amend the design / idea in general. Iterate on prototypes and collect feedback, review the feedback and make changes (if necessary). Develop a Minimum Viable Product (MVP) and share it with possible customers (early adopters). Repeat the iteration process until the MVP meets strong market demand or until it is considered to be a failure. This approach gives more flexibility, allowing for the full-scale product concept review without spending your budget on something that nobody will use. Whether it is a financial app, CRM or an educational software product that you are working on – somebody within your team has to possess a certain level of specific domain knowledge. So, building Mailtrap was easy because our team had years and years of experience in the tech sphere. But when it comes to a school management system, for instance, the Project / Product Management has to not only possess a very good understanding of the problem the target audience experiences but learn about the specifics of this particular industry and competitors, its priorities and values, trends and concerns, etc. Only being able to do a real deep dive into the topic and feel empathy for the app users will help create a product that understands the clients’ ‘pain’, and so – meets their requirements. This section’s title is not meant to suggest that investing in Marketing is a bad thing to do. Our goal is to show the other side of it, the one which is generated by the product itself. 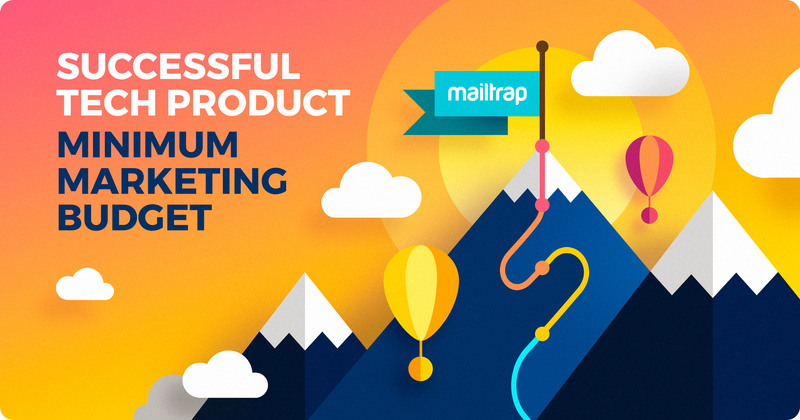 So, understanding the specifics of Mailtrap’s audience, we knew that what it would really appreciate was getting a great and reliable product. Those, who create tech tools know, how difficult it is to earn the developers’ trust. But once you manage to do it – you will automatically win over the most responsive, loyal and connected audience in the world. And these three simple actions were noticed by the influentials who reviewed Mailtrap, marking the start of the Mailtrap online community. The word of a mouth reached thousands of people in the dev community. Some of the most loyal users started to share the information about the tool across their blogs and YouTube channels and even mentioned Mailtrap as an existing solution when its competitors discussed their product launch on Hacker News. Mailtrap was recognized by Laravel (the PHP Framework) and included in the tech documentation. Other dev community platforms, like scotch.io started referring to the tool as well. So, while our team managed to ‘jump’ from 0 to profitability with basically no marketing investment involved, we recognize that further expansion will require some resources to shape the strategy and ensure stable growth. In general, there are lots of reasons why product companies fail. The most common one has to do with a lack of Product Management expertise within the team, which results in poor implementation and delivery caused by an inability to organize an efficient software development process. In addition, the Product Management’s resource scarcity may lead to a number of wrong or ill-timed product-related decisions that will negatively impact the future product. That is why, when being engaged in third-party projects, the Railsware team takes initiative and covers the existing knowledge and experience gaps in order to help Product Owners build great software and reduce business risks.